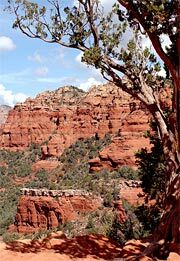 Sedona real estate includes homes, but also land, like vacant lots. While there are many wonderful choices in existing housing, there’s something special about building a home ‘from the ground up’. Keep in mind though... not all Sedona real estate is the same and you need an expert in land to help you navigate the choices in vacant property. If you’ve decided to buy Sedona real estate that’s vacant land, the most important factor is often build-ability. Is the location suitable to build the home you want? The location itself is important too, however. For example, are you looking for seclusion or would you like to be part of a community? Would you be interested in constructing something within a luxury home area or do you desire something more rustic? Some locations offer just the ‘basics’ while others might be acreage available for splitting into separate building sites. While some places in Sedona offer city water and city sewers, many offer only Septic. And it's important to have a Realtor® guide you and help you through the city and county requirements and permits. I'm highly respected by builders in the area and deepening on your costs - can offer you several architects and builders to talk with. I’m Barbara Baker, Sedona real estate agent, and I’ve spent years helping people build their dream homes in Sedona. The act of buying vacant land can be complicated. You need someone who can point you in the right direction as you examine your choices. Contact me today at 928-301-0669 or email me and tell me what you’re searching for and I’ll match you with vacant Sedona real estate that suits your needs.